FFXHD will easily hit 1M worldwide, so there should be no reason for SE to skip FFXII HD. It'll do more than that. 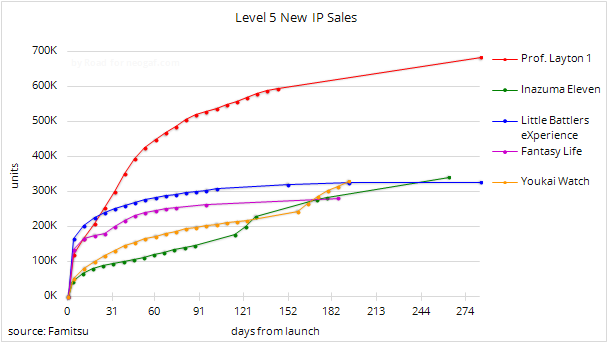 KH 1.5 did 468k one month in NPD alone. I think FFGX Hd will become one of the best selling remasters ever along with GOW. LTD of 2 million. KH was a more successful game than FF X in NA though. I know KH did 3 million in NA and FFX did 4.4 million in the West but I don't know the split. Can't find the number anymore, so I'm not so certain anymore, but I was pretty sure I read KH was Squeenix's most successful game in NA for the PS2 era or something like that. 1. No one is ready to put out anything that makes the PS4 an attractive console in Japan. 2. The console will consequently sell poorly. 3. It will become less attractive for 3rd parties and unless Sony provides strong incentives for Japanese development, it will reinforce itself in a vicious cycle that will be more difficult to get out of than the PS3's troubles. I have a feeling I will be responded to with "duh." For two weeks in a row, Kirby clinches the win! This repeated recession with large fiscal year losses is inherently troubling. However, the PS4 will be released next month, and there is hope to somewhat catch up in Q4. And, there are a few bright spots. For example, the 3DS has had incredible success with Pokemon X + Y (3.84 million units), Monster Hunter 4 (3.19 million units), and Friend Collection: New Life (1.60 million units). So as you can see, it's not even close, Kingdom Hearts was way more popular in the US. I would've used it, but didn't found it. 470K shipped across PSV and PSP in Japan & Asia according to KOEI. The real joke is on Square Enix because they've just devalued an easy 200k-400k(+?) retail seller by putting that out on iOS. It'd be 1m+ on 3DS. I'm really nervous about whether PS4 will sink or swim in Japan. I love Japanese games but mobile seems to have all but completely taken over the attention of their publishers. Not that I think console gaming will see a resurgence with the PS4 in Japan, but hopefully it does slow the rate of complete abandonment of the dedicated gaming platform. Well, the september / october was a teasing for the 2014 digital sales, so I think the next digital sales report will be for january. I think Japanese industry support for PS4 will resemble PS3 but even more to two extremes. On one hand you'll have the mega-publishers making multiplatform games mostly for the west (Capcom, Konami, SE, etc) and on the other you'll have the niche PS stalwarts building out a dedicated Japanese audience (NIS, Gust, Falcom, etc). I feel like a lot of the middle ground stuff will go elsewhere though. It's too early to say. People aren't necessarily going to run out and buy a Vita the week / month after they lay out a chunk of cash on a new console and some games. I know you've already made your mind up but I did mention a couple of things in the PAL thread that might point to a small bump here in the UK, but again, it's early days. 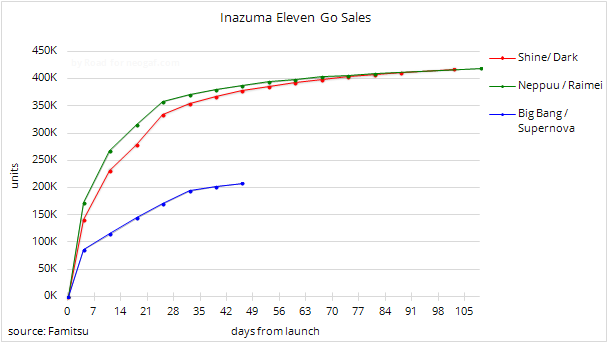 PS Vita is close to impose territory in price now. I was shocked to see one for 120 in HMV there last week. It was a used model, but if I get a bit of extra cash I'm in, maybe. Impulse. 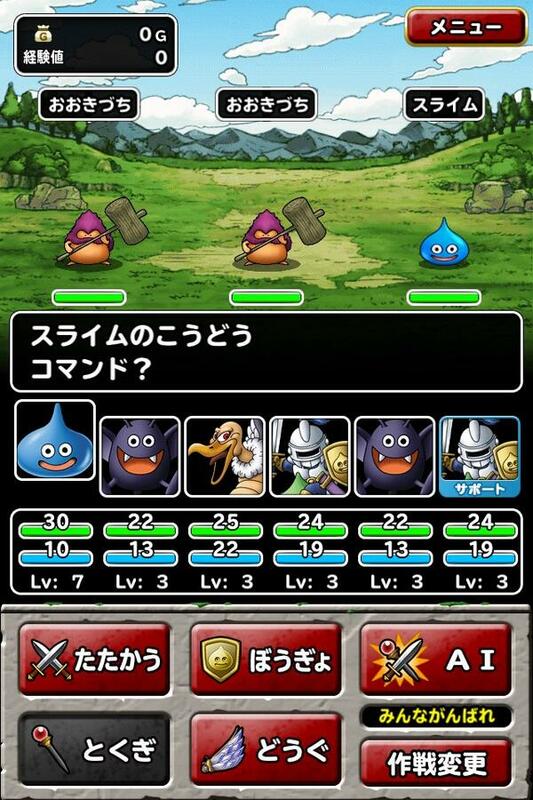 Square Enix launched out what I believe is their first major Dragon Quest free 2 play experiment on mobile. Apparently it actually plays like Dragon Quest combat wise. You can actually try it from anywhere as long as you can speak Japanese or fumble around the menus adequately. Note that while the game is available worldwide it is in Japanese only. I've been playing it a bit and it's surprisingly decent so far. Basically you take on quests and you go to a dungeon where you move between rooms, in the rooms you can find treasure or gold bags which you tap to obtain, and sometimes you also run into monsters. Unlike other popular social games like, say, Guardian Cross, where you don't really do much, in this one the battles play out just like in any other DQ game and are not automated. I'm still early so the battles have been pretty simple so far, hopefully they get harder and require more strategy later on. I'm actually kind of surprised at how high quality it feels, really makes me wish this wasn't a social game but a full fledged one. They'll skip FF XII HD for now and make Type-0 HD instead. Any developer with worldwide ambition will be forced to have ps4 version in 2015 at the latest. Did Japan give up on soccer or something? It will certainly do good but 2 millions is out of it's reach IMO. I hope Full Boost sells a bunch! Its almost assured at this point X/X-2 ND easily top LR ltd.
Yeah. SE best be working on that FF12 HD. Also finally PS4 is going to launch soon. No more pointless speculation its time to find out if Japan still likes consoles or not. I don't think we can still say they don't like consoles based on early PS4 numbers. There are no noteworthy games designed for the audience that isn't on PS3 at this point. Hey, Chris, do you see this having the same legs as Run for the Money or is this raise just a 1 time thing? Many people here think its going to do worse than the PS3. I'm just interested in how it does. Another good job! Time to kill some zombies on that absurd blood-fest called Dead Rising 3®, only playable on Xbox One®, the all-in-one entertainment system by Microsoft®, then. And, after that, some good soccer matches on FIFA 14®, the EA Sports® simulation masterpiece where you are the player like never before. Those Comgnet numbers are telling me that Sony fucked up by not having UC PS4 ready to go for the Japanese launch. Which makes sense since its their biggest franchise in Japan right now after HSG. They have the greatest platformer of 2013, they don't have anything to worry about. PS4 will knack the Japanese market! It will easily outsell PS4, aligned and LTD.
Not sure if serious lol. I think they are saving it as their big Q4 game. I'm sure we will get a HSG this year. You know I might actually buy it this time. Well I think they are talking in LTD but I agree with you in that it will best the PS3. I would consider mobile and handhelds competition for people's gaming time. PS3's first sales report in Japan was 80k. No one thinks PS4 is going to do worse than that. 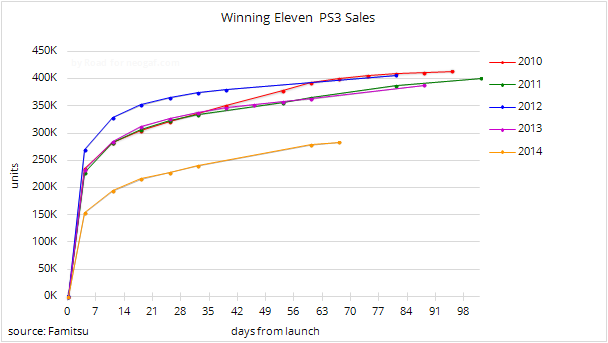 Early numbers are pretty irrelevant given the PS4's current software lineup. It'll pick up ... eventually. Sounds like Freedom Wars is going to have a big launch.